When Windows 10 was released, it created some sort of a gap between Microsoft’s operating systems. One of the most visible differences is the list of compatible apps and software. Many older programs, that worked well on Windows 7 or older versions of the system, now simply don’t work in Windows 10. These compatibility differences can cause a lot of problems to users switching from one version of Windows to another. Incompatible programs usually do more damage to the system, than just not working. They can prevent some Windows 10 features from working, conflict with other software, or even cause installation fails of updates. One of the most troublesome programs in Windows 10 is world’s most popular image-mounting tool, Daemon Tools. Newer versions of this software (version 4.47 or later) are actually compatible with Windows 10, and users running at least version 4.47 have no problems. However, many users are still running older versions of Daemon Tools, and they’re experiencing very serious and annoying issues. Namely, an outdated version of Daemon Tools can prevent you from installing updates, of even upgrade to Windows 10. But what’s even a bigger problem is that users are not able to uninstall Daemon Tools in some cases, which pretty much leaves their hands tied. My desktop is HP Envy 700-414. I’m using on Windows 10 and I updated it to the version 1607. But, it seems that the version is not stable yet. I have installed Daemon tools, but the app is not working at all after the update. I tried to uninstall the program, but I couldn’t do that. I tried to do it manually, but it didn’t work, as well. The message is appeared whenever I log in the Windows. I don’t have an idea how to remove it. Do I need to rollback the update to the previous status? Unfortunately, there’s no confirmed solution to work for everyone. On the other hand, people are recommending various workarounds for the Daemon Tools problem on Microsoft’s forums, so one of them might actually work for you. The most popular solution involves uninstalling Daemon Tools using Revo uninstaller. Revo uninstaller is a free tool that allows you to clean your system from bloatware and other software. It’s more powerful than Windows 10’s default uninstalling tool, so you can give it a try. You can download Revo uninstaller from this link. Another solution for uninstalling Daemon Tools from your computer is running the “uninsat.exe” command from the Daemon Tools folder. You can find this command in Daemon Tool’s installation directory. If the solutions listed above don’t get the job done, you can try updating Daemon Tools to its latest version, and then uninstall it. That way, you’ll replace an incompatible version of the software with a compatible one, and the problem could be solved. 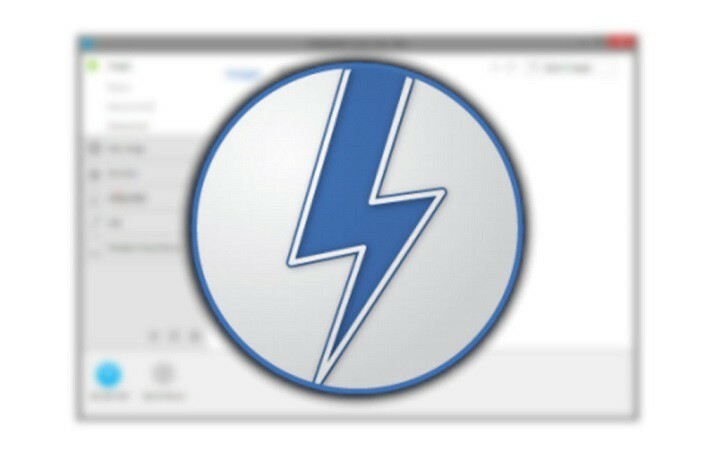 You can download the latest version of Daemon Tools from its official website. Microsoft is probably aware of this problem, because users have been reporting it since last year, but the company haven’t released any fix yet. So, users are forced to solve the issue on their own. If you plan to install Daemon Tools on your Windows 10 computer, please make sure that you’re installing the latest version of the software. As you can see, an outdated version of Daemon Tools can get you into trouble, so it’s better to avoid it.